Celebrate the love and spoil that special Mamma in your life with lunch at Boboli. Combine the traditions of classic Italian Antipasti and scrummy English roasts, or keep it thoroughly Italian... either way we are sure to please. A Presto… which means see you soon! Dan will be here to kick off our 2019 Thursday night music events in style! With a repertoire spanning several decades, Dan will have you tapping, clapping and singing along, so don’t miss out on a lively evening of excellent music and delicious food with friends. Just call us to book your table for supper. GET READY FOR A REALLY GOOD READ! the most inventive story you'll read this year! Pop in to The Bookshop to buy your copy and start reading, then come along to supper at Boboli to chat about it with like-minded friends. Ring us on 0116 2793303 book your place at the supper. As usual, we’ll be celebrating New Year’s Eve with a very special menu and live music from the brilliant Blue Skies in June, mellow music to start but ramping it up for a jolly good boogie later. CHRISTMAS PARTY WITH BLUE SKIES IN JUNE! Sarah, Cathy and Martin (the Three go to Haiti), are participating in the Haiti Half Marathon in February next year. You can find more information here. They are having a fundraising dinner and auction with some fabulous lots from local companies at Boboli. Georgia Lily will be returning to Boboli performing her takes of classic songs from the 60's to now; including soul, pop, ska, ballads, jazz and more. Covering a repertoire of modern greats such as Adele, Jess Glynne and Little Mix, as well as some classic soul icons from Aretha Franklin to The Jackson 5 - a night not to be missed! Every four to six weeks Debbie will select a book for us to read and then we’ll all get together to talk about it over a delicious meal. The first book that Debbie has selected is ‘Home Fire' by Kamila Shamsie, a suspenseful and heartbreaking story of an immigrant family driven to pit love against loyalty, with devastating consequences. All you need to do is pop in to The Bookshop in Kibworth, purchase your own "special" copy of the book, read it and then come along and chat about it with like-minded friends. Ring us on 0116 2793303 to book your place at the supper. If you can’t make supper at Boboli , we are also doing a Book Club Lunch at The Lighthouse on Tues 23rd October. Following his excellent set at the Boboli Festival this summer, we are so excited that the talented singer/songwriter Jake will be performing for us on 18th October. The fun starts at 7.30 pm, so make sure you book your table for supper to enjoy an evening of great food and live music. Daniel will be coming down to sing for us on 20th September, so book a table to enjoy a beautiful dinner accompanied by an amazing mix of music from 60's Rock 'n' Roll to modern classics. and all our usual delicious food served inside too! with fantastic live music, performed by local talent showcased by Mike and Martin from Room for Music. This year's fabulous line up includes James Condon; The Newtonians; Lex Icon; Tim Hands; Dan & Scott; Burn the Mill; Georgia Whittle; Hobo Disco; The Albion and Blue Skies in June! We are delighted to be working with The Rotary Club of Kibworth & Fleckney to raise funds for the Kibworth Charitable Trust. Lots of fun for all the family, including kiddies tent and face painting for our younger customers, courtesy of Squeaky B’s ! Blue Skies in June will be performing again for us on 12th June. They are a fantastic 4 piece band, a night definitely not to be missed. James is back to entertain us with his mellow take on contemporary songs and lovely melodies. So call us to book a table if you fancy an evening of great food and mellow music! 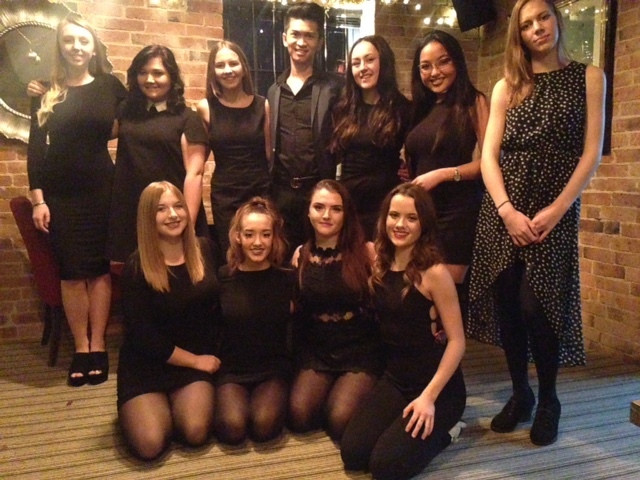 From Broadway to West End to Glee, Leicester College's Music Theatre Collective perform an array of great songs with wonderful vocal harmonies, with a slightly summery theme! Blue Skies in June will be performing again for us on 27th May, after making their amazing debut at the Boboli Festival last summer. They are a fantastic 4 piece band, a night definitely not to be missed. Pop down from 6.00 pm to enjoy a lovely dinner accompanied by great music. There is no set menu, just call us and book a table! Daniel will be coming down to sing for us on 17th May, so book a table to enjoy a beautiful dinner accompanied by an amazing mix of music from 60's Rock 'n' Roll to modern classics. Blue Skies in June will be performing again for us on 6th May, after making their debut at the Boboli beer festival last summer. They are a fantastic 4 piece band, a night definitely not to be missed. One of our regulars, Wayne, will be at Boboli to perform his entertaining set of retro swing and bluesy numbers, mixed up with some contemporary music for that "Easy Like Sunday Morning" vibe on a Thursday! Daniel will be coming down to sing for us on 22nd February, book a table to enjoy a beautiful dinner accompanied by an amazing mix of music from 60's Rock 'n' Roll to modern classics. Take 2 are back on 14th December to perform a special Christmas gig! You are guaranteed an evening of sassy and sophisticated entertainment courtesy of Rachel, who will perform an authentic tribute to Dutch singing sensation Caro Emerald. These evenings are always popular and we will be serving a reduced choice menu; so do call us to book your table and pre-order supper.